January 11 is recognized in the United States as Human Trafficking Awareness day. 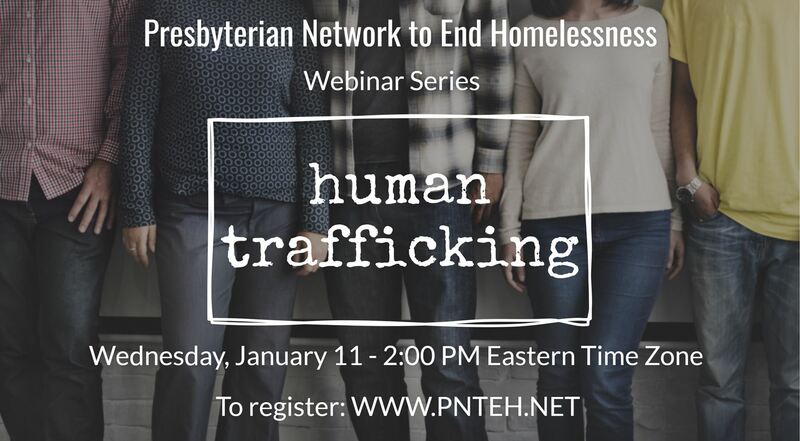 Join the Presbyterian Network to End Homelessness during this webinar to learn about what Human Trafficking is, what resources are available to you and learn ways in which you may become more involved. This 40 minute webinar is hosted by Jill Bolander - Cohen, PNTEH Board Member and Executive Director of the Lifeboat Project and Dan DeBrucker, PNTEH National Organizer.